We have a limited number of It’s Not Goodbye, It’s See You Later author copies available. The cost is $19.95 USD each including free shipping to Canada and The Continental United States only. To order a signed copy simply click the “Buy Now" button below. 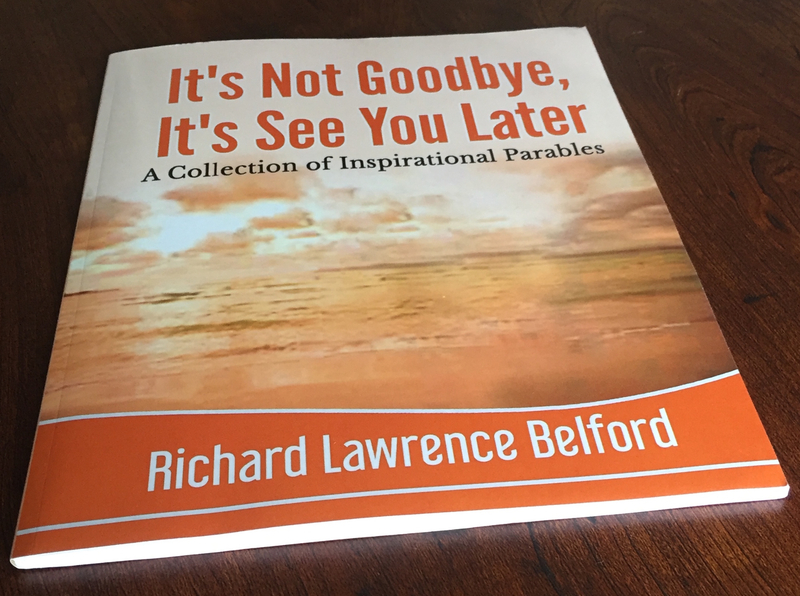 If you would like it personalized to either yourself or someone else please send an email to info@richardlawrencebelford.ca indicating what you would like written and to whom. “It’s Not Goodbye, It’s See You Later"
Author signed copy of It’s Not Goodbye, It’s See You Later; an inspirational book about life, love and loss honoring the memory of those dear to our hearts.